With standard lenses an object appears to be smaller or bigger when it is closer or farther away from the lens. Unlike common optics, telecentric lenses only accept incoming ray bundles that are parallel to the optical axis; therefore the object size remains unchanged. This is essential when you must measure objects that cannot be precisely positioned (e.g. on a conveyor belt). Moreover, telecentric lenses eliminate any perspective error and are therefore perfect when thick objects must be measured. Telecentric lenses also outperform standard lenses when it comes to distortion: An image is distorted when straight lines in the object space appear as curved lines in the image space. Distortion is measured as a percent deviation. 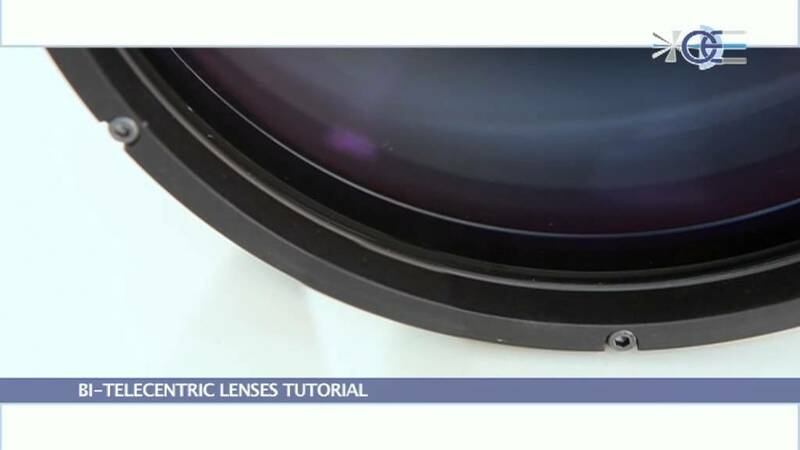 Opto Engineering telecentric lenses feature incredibly low distortion, typically under 0.05 % and deliver extremely accurate geometrical information. Bi-telecentric lenses are able to deliver incredibly accurate measurement on many different precision parts. Opto Engineering bi-telecentric lenses are specifically designed for real industrial applications. The lenses have a fixed design with no adjustable focus or aperture mechanisms to withstand vibrations and ensure accurate and consistent performance. 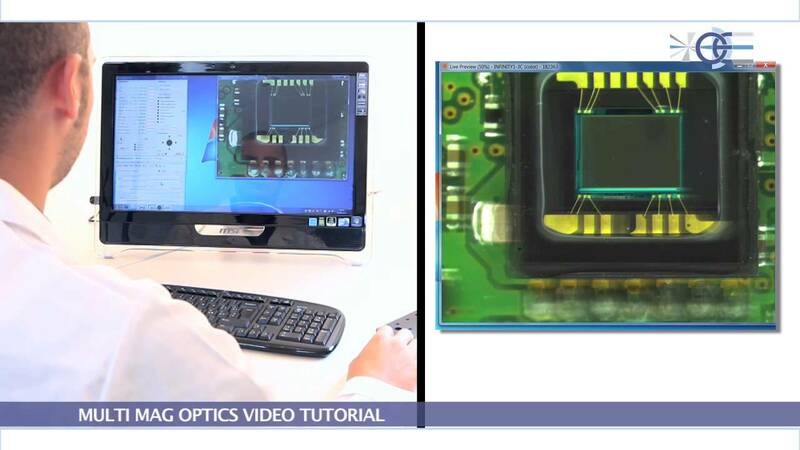 Opto Engineering TC DP are double port bi-telecentric lenses supporting two different cameras to measure objects with different magnification factors. 2x and 4x options are available for imaging one half or one fourth of the full FOV: this can be simply accomplished by switching from one camera to the other with your software application. Since this technique doesn’t require any moving mechanism, the magnification repeatability is totally assured, thus providing exceptional measurement accuracy with no need of re-calibrating after zooming. Opto Engineering TC DP are suitable for any camera up to 2/3 format, they can be mounted on CMHO clamping mechanics and fit collimated illuminators and ring light designed for standard TC series.